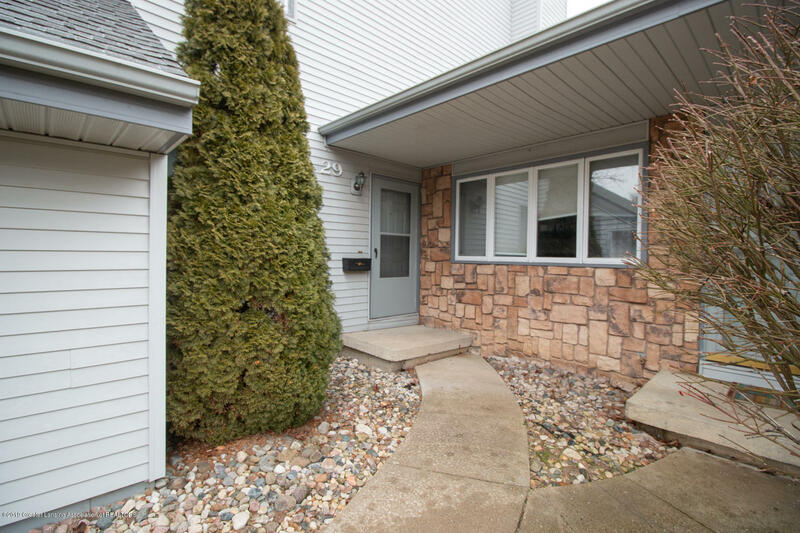 Great find in Grand Ledge for affordable condo living! Don't worry about shoveling snow or clearing off your car this winter- this one has an attached garage! This updated unit is ready for a new owner and boasts custom tiled full bath, guest 1/2 bath, spacious master bedroom with large closet outfitted for maximum efficiency, second bedroom, loft space that could be perfect for an office area, large living room with gas fireplace, large deck, and finished room in the lower level!